Sam Rainsy, Cambodia’s opposition leader and former finance minister, is not a man you would want your sister to marry. Though still boyishly handsome and stylish, he is outspoken, arrogant and very smart. Such men tend to rise meteorically, then self-destruct before gaining real power. That said, despite self-imposed exile in France to avoid an 11-year jail sentence he claims is politically motivated, it is still too early to write off Rainsy, 64, as a recent incident in Bangkok proved. Last Wednesday, the Foreign Correspondents’ Club of Thailand planned to host an event at which Rainsy would discuss poverty, corruption and injustice in Cambodia. Given past conflicts with media-suppressive Thai governments, the FCCT stressed that it was not sponsoring Rainsy’s visit and that “responsibility for program content was solely that of the event organiser”. The organiser’s name, however, was not revealed, although it was stated that the event would feature the launch of Rainsy’s new autobiography, We Didn’t Start the Fire: My Struggle for Democracy in Cambodia. The book recounts his early days in Phnom Penh, his family’s expulsion, the Khmer Rouge regime, the Vietnamese occupation, and Prime Minister Hun Sen’s control of the country since 1985. 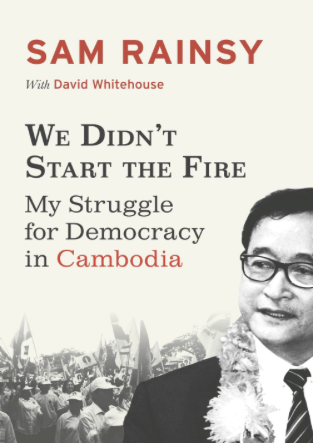 The choice of Billy Joel’s infamous vocal rant, We Didn’t Start the Fire, for the book’s title aptly reflects Rainsy’s precocious nature. But in truth, he cannot be blamed for the infernos that have ravaged this poor country over the past century, although he has sparked his own share of heated incidents. Another one happened last week when he arrived in Bangkok from South Korea and was told by immigration officials that he was not welcome in Thailand. The ostensible reason was because of fears that Rainsy would badmouth Hun Sen’s government ahead of next month’s national elections. “We do support democratic rule, but on the other hand we do not support other people using our country to attack others for political gain,” said the Thai foreign ministry spokesman Manasvi Srisodapol. It could be pointed out that criticising the government is an opposition leader’s job and that many of them have visited Thailand in the recent past and done that without any problem. Malaysia’s Anwar Ibrahim and Lim Kit Siang spring to mind, as do Singapore’s Chee Soon Juan and James Gomez, and Myanmar’s Aung San Suu Kyi. Indeed, Rainsy himself visited Bangkok last November and did not curb his enthusiasm for excoriating Hun Sen’s “reign of the mafia in a banana kingdom”. So what has changed? Well, there is that general election here on July 28 and Hun Sen wants to take no chances that his bête noir’s Bangkok speech might sway voters at home. And as press reports have highlighted and as Rainsy himself noted, Hun Sen is known to be friendly with the exiled former Thai PM Thaksin Shinawatra, whose younger sister Yingluck is the present PM. So, it is widely presumed, a word from Hun Sen to Thaksin to Yingluck and Rainsy is denied entry until after the end of July. It was not only silly, but also pointless since he went ahead with his talk to the FCCT via Skype from Singapore, which happily welcomed him – as, earlier, had Indonesia, Malaysia, Myanmar and the Philippines. And it was counter-productive, since the “victimised” Rainsy reaped greater publicity and kudos for himself and his party in the run-up to the election. In his spiel, Rainsy said the Cambodian poll would be a farce, that Hun Sen was a coward who was afraid of the opposition and that his inevitable victory should be considered illegitimate. In the past, the bristly Hun Sen has responded with similar wild allegations, such as warning of “civil war” if Rainsy’s side won the election. Of course, the opposition will not win. On that, both men concur. 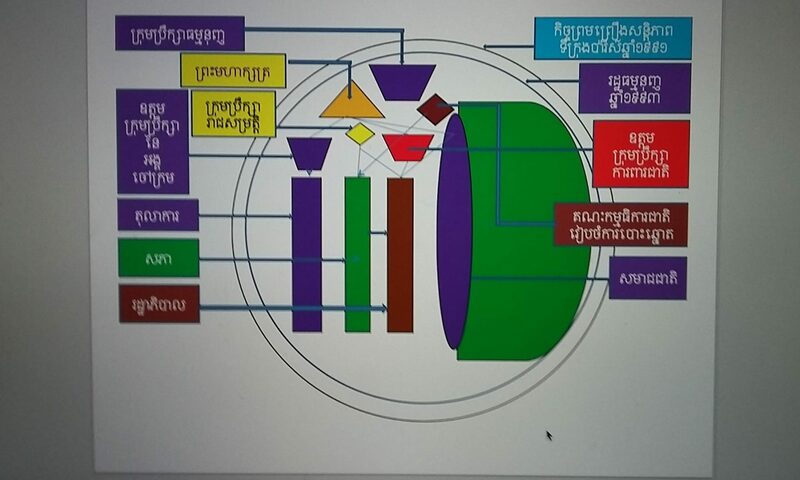 There will be no electoral fire in Cambodia next month. Like Rainsy’s visit to one of the neighbours, it will not be permitted.